The Architect of the Capitol (AOC) Communications and Congressional Relations office published the first edition of the employee magazine, "Foundations & Perspectives," in 2009. Since then we have strived to communicate stories that demonstrate our commitment to our mission – Serve, Preserve and Inspire. As we began planning for the 15th edition of the magazine, we felt it was time for a refresh. We enlisted our employees' help in picking a new name and received more than 70 submissions. As indicated by the cover below, we chose "Tholos." Tholos is an architectural term used to describe a round structure usually ringed with columns. It was first used in ancient Greek architecture and centuries later was included in the design of the Capitol Dome. We wanted the new name to represent the historic setting of our work, and we hope it will serve as a reminder of the important role we all play to maintain these great symbols of American democracy. 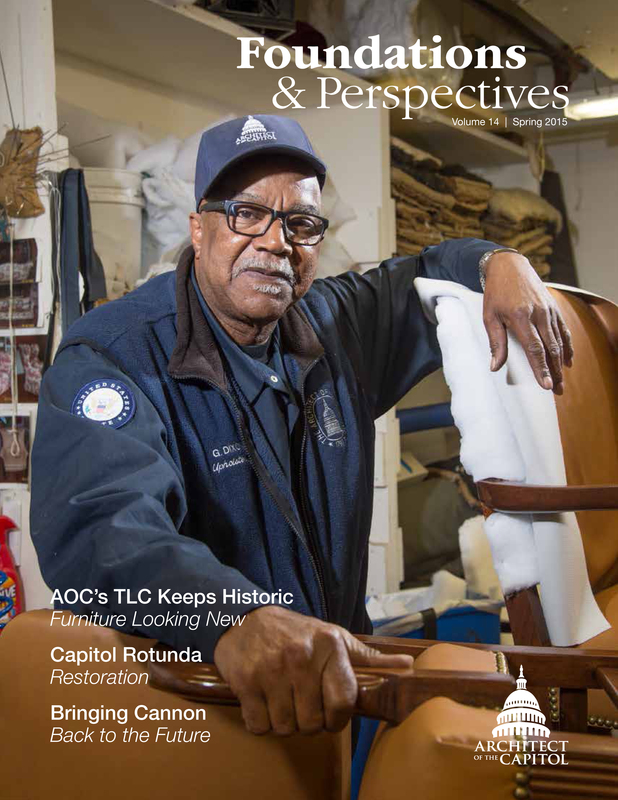 The magazine has a new name and look – but we'll continue to create content that highlights the diverse ways we serve as the stewards of the iconic buildings and grounds on the Capitol campus. 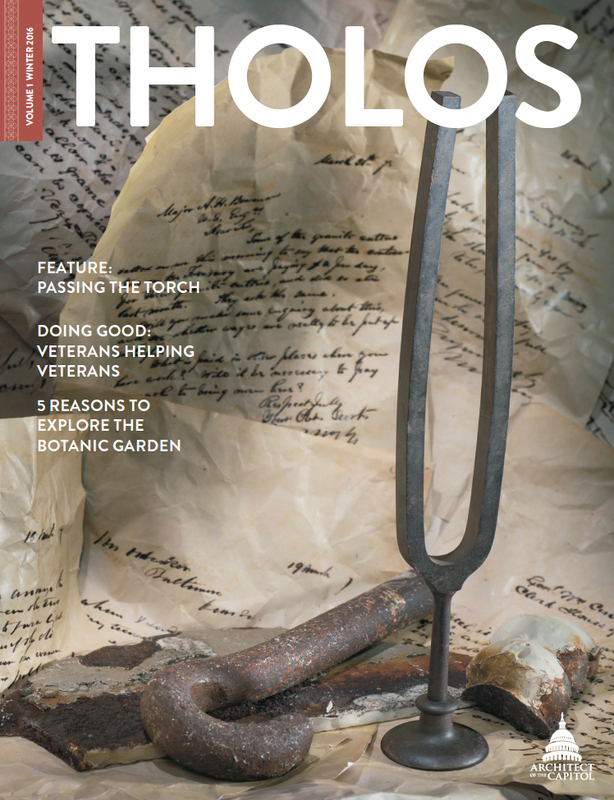 The first edition of the new "Tholos" magazine was published Winter 2016.